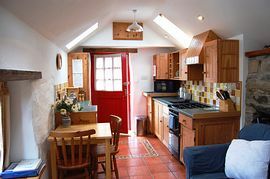 Surrounded by undisturbed heathland, Wern Farm Holiday Cottages are off the beaten track yet within easy reach of the coastal path, the city of Saint Davids and the beautiful beaches of Whitesands and Abereiddy. 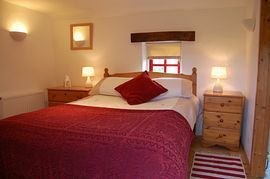 Ty Gwennol sleeps 2 and makes an ideal romantic getaway. It has a secluded walled garden, stunning views and a comfortable interior. 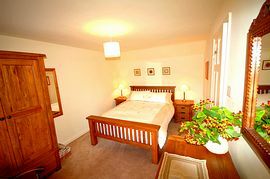 Y Wern, our home from home, accommodates up to 6 people (in 4 bedrooms), a cot and 2 pets. It has a brand new kitchen and bathroom. The garden is large and enclosed and offers a choice of seating areas. Both properties have been carefully restored to a very high standard retaining many original features and both offer storage for bikes and water sports equipment. Available all year they can be rented individually or together. 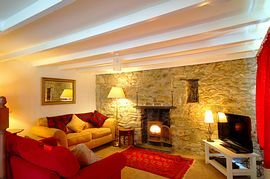 Short breaks are available in low season and small party discounts are offered on Y Wern. 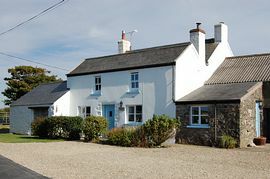 If you are looking for peace and quiet, but still want to enjoy the amenities of St Davids with its restauants and shops and want to be close to the stunning coastline, then Wern Farm Cottages provides the ideal location. Rural location with stunning views. Close to St Davids and the coast. Y Wern - Large enclosed garden with several seating areas & BBQ. Ty Gwennol - enclosed courtyard garden with BBQ. From St David�s take the A487 towards Fishguard. Take the first left (B4583) signposted Whitesands Bay. Do not turn left to Whitesands at next turning but continue straight ahead for 1.8 miles. Take the first turning right after the brown signs for Hendre Eynon campsite. This is a small but newly tarmaced road. Continue past Treiago farm and cottages on your left . Y Wern and Ty Gwennol are the next buildings on your right 150 metres further on. Please note: There is a slightly more direct route from the A487 but it uses very small country roads. Sat Navs will take you to the village of Tretio rather than to Y Wern & Ty Gwennol. Seasons Open: Spring, Summer, Autumn, Winter. Available all year with discounts for short breaks off season. If you have questions about this Holiday Cottage in particular please contact them via the means below.